The coastal views of Marshfield, MA may make it a desirable place to call home, however, the sea touched weather conditions are not always as kind. Wind and weather can cause serious damage to asphalt shingles, leading to leaking, rotting, and lifting! A heavy-duty metal roof from Classic Metal Roofs provides you with the strongest and more durable option to protect your home with little to no necessary maintenance. A metal roof boasts a lifespan 3-4 times longer than the average asphalt shingle roof, possibly longer if your asphalt shingle roof is low pitched! In addition metal roofing offers superior fire protection! A new metal roof is sure to not only be a worthwhile investment in terms of protecting your home long term, it also is sure to give your home the style you desire! At Classic Metal Roofs we are proud to offer a variety of colors, sizes, and style options. 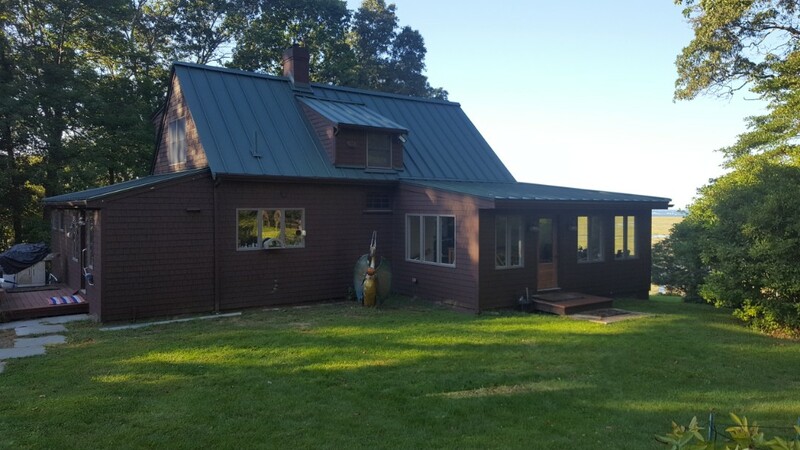 It is important to choose a new metal roof that compliments the style of your home; this is where our design knowledge comes into play. Our standard style profiles include aluminum shingle metal roofing, aluminum shake metal roofing, and aluminum standing seam metal roofing in a variety of colors! However, if these styles do not appropriately match your vision we also offer custom fabricated zinc, copper, and aluminum metal roofs. Founded on more than three generations of building experience, Classic Metal Roofs is proud to have been installing high-quality metal roofs for over a decade! Classic Metal Roofs is part of a national network of metal roofing dealers, dedicated to furthering metal roofing throughout the United States. Thanks to this partnership we are able to offer the maximum warranty coverage on all roofs we install! We are confident that our team can offer you expertise and skill superior to our competitors! Call (866) 303-2002 or fill out our online form for a free quote! Aluminum standing seam metal roof on the ocean in Marshfield mass .